Most consumers believe that their trees and shrubs require little attention after planting, but proper fertilizing & watering are very important, pruning trees & shrubs properly is a must when taking care of your landscape. 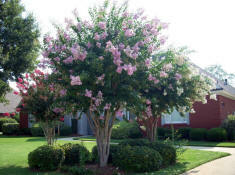 Call a good professional in your town to properly prune and call Higgins Landscape to spray and fertilize them. We are fully license and insured. Just like any living thing on our planet, landscape plants require certain things to grow. The nutrients found in a good tree & shrub food makes all the difference, Well-fertilized ornamental plants grow more vigorously, are healthier and greener, and produce more flowers. The challenge is selecting the correct fertilizers and applying them at the proper rate and at the right time.